***This post was written and all photos taken before J's arrival last weekend. I am still trying to wrap my mind around the concept of taking care of two children (hashtag so tired), but I wanted to share about these products with you in the meantime! p.s. Happy birthday today to both my brother and my mother-in-law! Hello! I've hit the jackpot with some fun finds lately and wanted to share a roundup of links with you. These are all baby/toddler related, FYI. 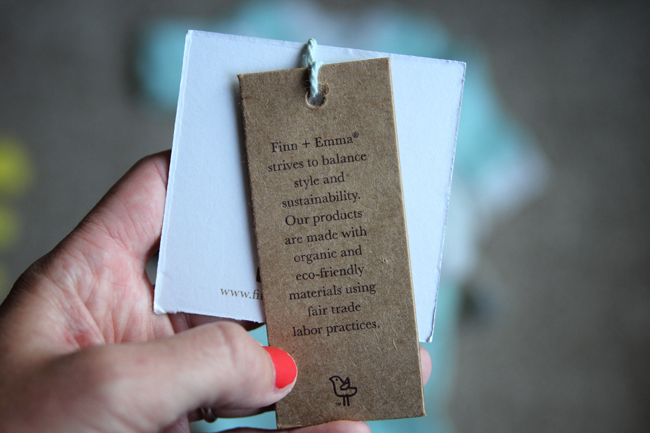 *I was provided items from Finn + Emma in exchange for an honest review. All other items mentioned in this post I have purchased and loved myself and are not sponsored in any way! 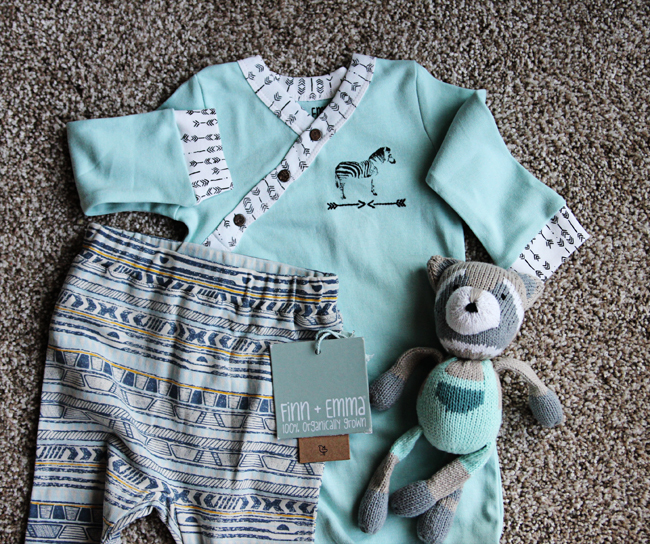 I've been eyeing a few products from Finn+Emma for a while and was excited to get the chance to choose a few things for Baby Bum! 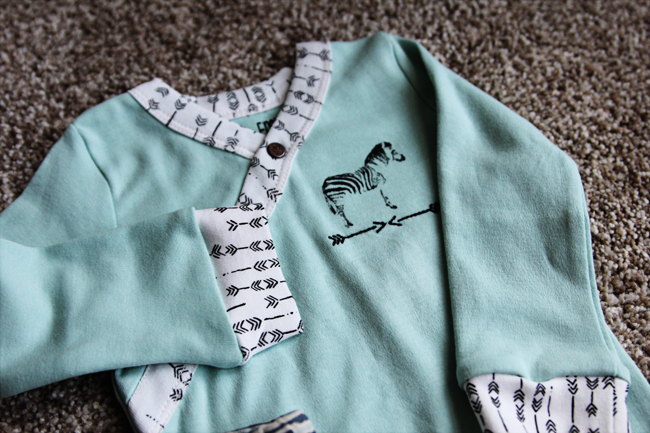 Their clothing is all made from organic cotton and non-toxic, eco-friendly dyes. I also picked out this raccoon rattle buddy. This little guy is hand-knit by an artisanal women's collective in Peru using organic cotton and sheep's wool stuffing. So cute! Get 15% off your order of $50 at Finn + Emma by using the referral code from this link. A few months ago, Sarah posted about a blanket she got from Bearcubs Co for her daughter, and I knew I had to get one for Baby Bum. I got this Dino Print in the smallest "lovey" size, and it's sooooo super soft and adorable. You all probably know by now that we've had some issues with R biting at daycare. Let's just say I know way too much about strategies for biters and the psychological reasons kids bite than I ever wanted to. (If you have questions or want to chat about that, feel free to email me!) Anyway, one thing that was suggested to us was "chewelry," which is basically a bracelet or necklace for R that we can teach her to bite when she's frustrated instead of her friend's arm. 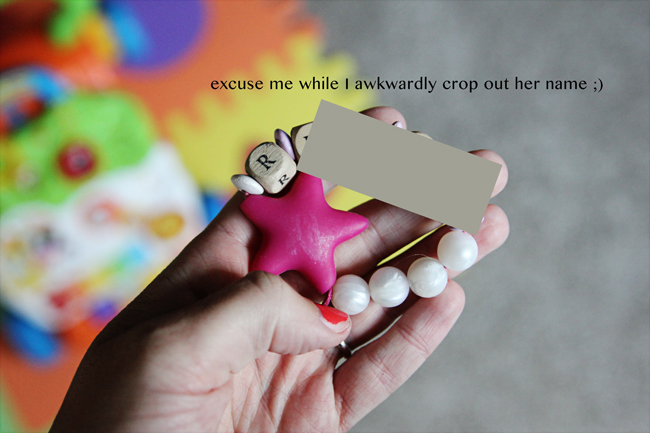 I looked at a couple of different websites and ended up purchasing this personalized bracelet and this necklace. I could not be happier and highly recommend! While these have not completely solved her biting problem, I do think the bracelet in particular has been awesome for her to wear around and gives her something to chew/bite when she needs release. Plus the turnaround time on these was amazing, and I think they came in the mail just a few days after ordering. I feel remiss for not telling you about this a long time ago. Before R was born, I saw a deal on Brickyard Buffalo (I've only mentioned them a billion times on this blog; seriously, they need to start paying me to advertise for them already) for a Gathre highchair mat. We have carpet in the area where our kitchen table is, which is also where R's highchair is, and I knew I'd want something to go under her highchair to catch spills, etc. This mat has probably been one of the best if not the best baby/kid things I've purchased. It's super easy to wipe down and doesn't attract a lot of attention with its minimal design. Their mats are ethically made of bonded leather with a suede backside, free of toxins, and really I just can't recommend this enough. We love it and have literally used it every day since R started sitting in a highchair to eat. Last week I was perusing Craigslist and saw this wagon (in blue) for $20! I snatched it up and am so excited to use it with R (and later Baby Bum too). Obviously buying a new wagon is not going to be as cheap as what I found on CL, but I still think it's useful to have. Jordan has already taken R on a walk in the wagon, and she loved it! So those are a few things I wanted to share with you that I'm loving lately for babies/toddlers. Hopefully you found something fun you want to check out! That outfit is so cute!! I love that mat under the high chair. It's a must have! 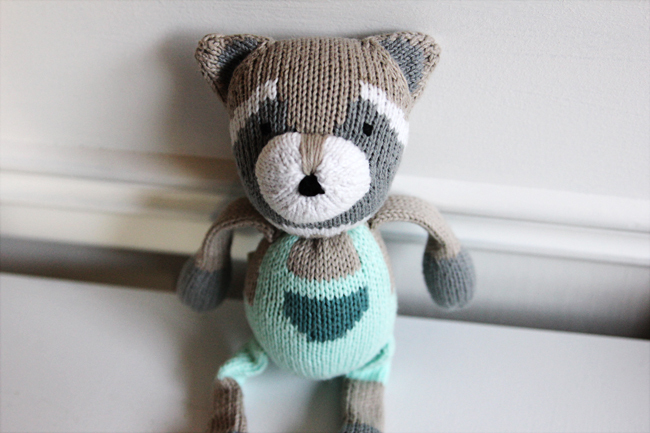 Could that raccoon rattle be any sweeter?! Don't do this to me! I'm supposed to be DONE over here :) Those blankets are adorable! I'll wait until fall. Maybe. Umm, those highchair mats are gorgeous. Did you see the floral one? Someone stop me. I love the idea of the name puzzle, but its sort of a lot for Zoe with only three letters. They should charge per letter lol.I suppose I could add her middle name and still be in under 9 characters. That outfit is so cute too! I always love finding out about new shops! Perfect stuff for little J! I love that raccoon rattler!! And the mat under the highchair is genius! Hope all is going well with you guys!! That little outfit for Baby Boy Bum is so cute! Good selection. I hope the chewelry works for R! What a clever idea. 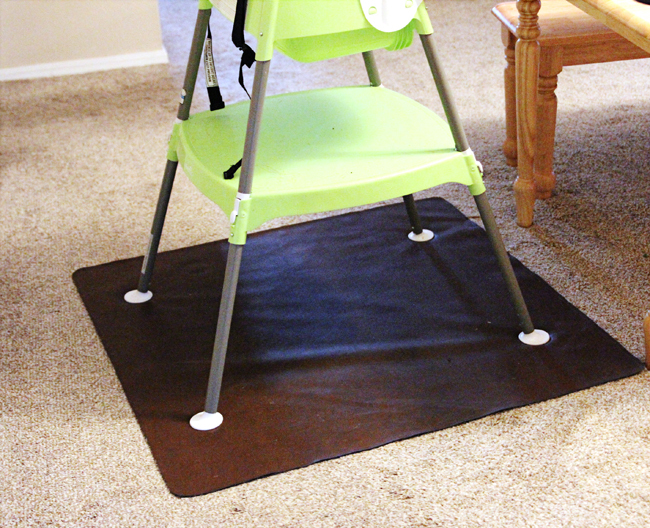 I'd never even heard of a high chair mat, but DUH---it's such a brilliant idea! I wish I would have known about it when we were at our old place since we were constantly dealing with spills on the carpet! Okay seriously that high chair mat is genius. I was actually just wondering the other day about something like that! With two kids.. I clean the floors (only where they eat ha!) three to five times a day! Sheessssh! Ain't no body got time for that! Those name puzzles are awesome too! I just ordered 4 of them for birthday gifts and everyone loved them! Adore the outfit and little racoon from that cute shop too! Isn't it hard not to buy ALL the things for your babies? !